Not to be used if you're pregnant or nursing. Reformulated 2017. An aged cedar chest filled with fine fabrics, exquisite lace-overlay dresses, heirloom linens and crocheted tops, forgotten in the attic of the manor house. 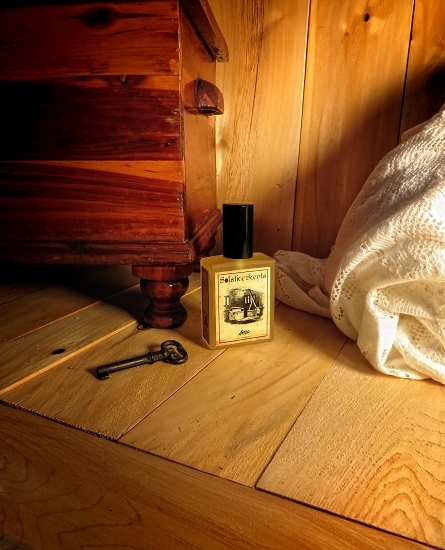 The scent of this cedar chest and the soft mustiness of stored linens with the beautiful, yet faded, perfume of the owner still detectable upon the fabric is captured in the Attic Perfume. A fine vanilla blend is paired with the most gorgeous red cedar heartwood EO, aged sandalwood EO, cypress wood EO and the scent of dried rose petals pressed between brittle book pages. 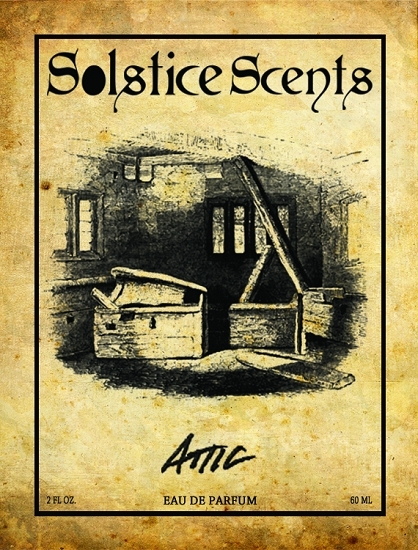 Attic starts out strong, with a burst of the cedar EO and vanilla but mellows into a sweet, woody, slightly dusty fragrance that is exquisitely atmospheric. It shares several notes with the Manor perfume and fans of Manor may enjoy Attic, especially if they like really gorgeous and true cedar essential oil. Attic can technically be considered a flanker to Manor and was originally a part of the Manor Collection set which featured rooms within the manor house (Library, Cellar and so on). This cedar smells just like an aged piece of dried cedarwood and pairs wonderfully with the other notes on the dry down. This is an organic cane alcohol based perfume.